The tax to incomes of physical persons (personal income tax) is calculated as a percentage of total income of individuals less documented expenses. Declaration of income (submission of the approved form 3-NDFL) is not only the duty but the right to receive social and property deductions. - free program "Declaration" from an official site of Federal tax service of Russia. 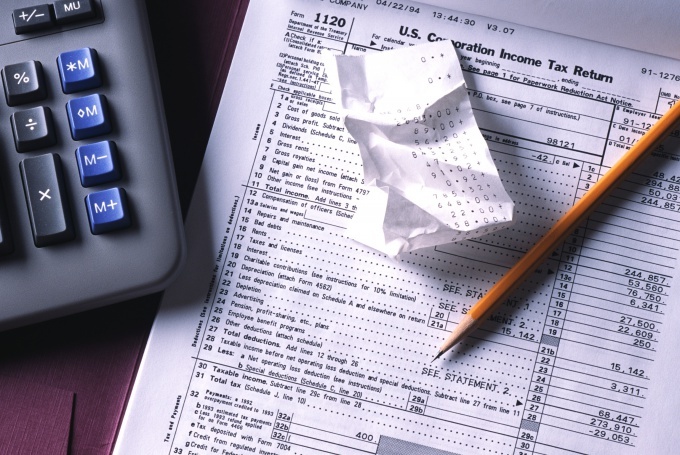 Make sure that your expenses allow you to partially exempt income from income tax. Entitled to a tax deduction give: charity committed transactions with property, in particular buying/selling of housing, payment of interest on the mortgage (trust) loan, fees, medical treatment including purchase of medicines, as well as costs associated with pension provision. Prepare an income statement (form 2-NDFL) and supporting documents (originals and copies) for each type of deduction to correctly fill in Declaration and subsequent submission to the tax authorities. It is important to know that, on the basis of the submitted documents, the tax inspection within three months conducts a Desk audit, and then provides or denies the deduction. Select the filling of the form 3-NDFL, data entry in the program or by hand. The presence of bug fixes as well as two-sided printing is not allowed. Each indicator corresponds to one field in the form. When manual filling is required to write the title of the printed symbols, in the absence of index – mark with a dash. Proceed sequentially. In the "Declaration" has tips for every step you can check, view and correct. In fact, print the form 3-NDFL consists of a title page, 6 sections and worksheets A to And of them mandatory cover page and section 6 "the amount of taxpayable (paid) to the budget or refunded from the budget." Optional are sections 1 - 5 and the Sheets A-I, which are calculated by the tax base and tax amount in terms of income. General information about the taxpayer (passport data) are written in the title page. The values are specified in rubles and kopecks, and amounts of personal income tax, in whole roubles. Enter the number 2 in row 010 of section 6 of the form 3-NDFL, which means that the calculations in the previous sections there is an amount of taxrefundable from the budget. Select paid taxes in the context of OKATO and complete the section 6 separately on each code of budgetary classification of tax incomes of budgets. After the date of the Declaration to the Inspectorate of taxesand duties m the place of registration (in person/by mail), you must comply with the formalities. First, to wait for the decision from tax authorities on the refund of income tax. Then apply for tax deduction and refund of tax, with the obligatory indication of your Bank account. Third, wait for the amount of overpaid tax within one month after submission. The Declaration form 3-pit taxpayer is obliged to submit to the tax authority not later than the thirtieth of April of the year following the expired tax period. Property and social deductions apply common condition of application: the taxpayer - resident of the Russian Federation, the income rate of 13%.